From the Kendra Scott Spring 2018 collection, the Olive long necklace is a must-have for the season that loves to be layered. 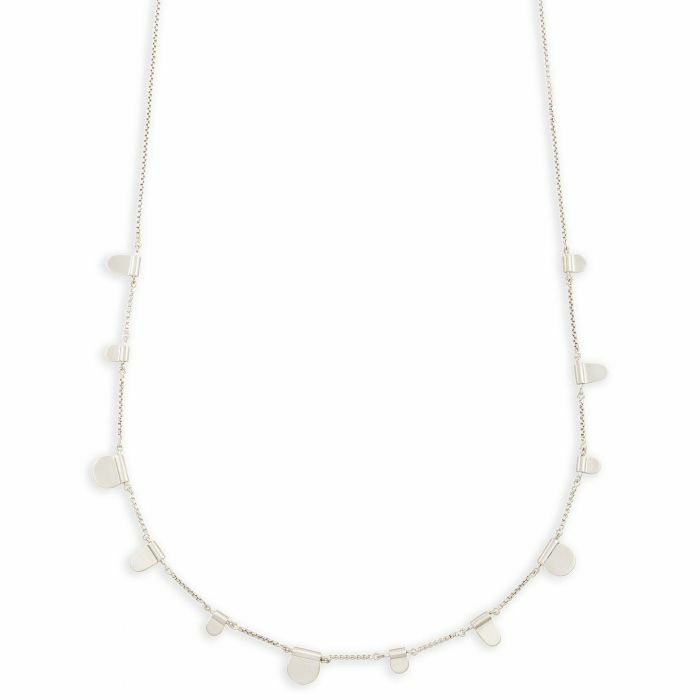 Plated with rhodium over brass, this necklace features tabs and a slender chain. Necklace measures 28" in length and is adjustable with a sliding bead closure.